12th June – There is Only War 2016 an Epic Armageddon tournament. 22nd May 2016 – War Without End Epic Practice League gets under way. 12th September – Added Forgeworld’s Perturabo to my Iron Warriors page. 12th September – Started a new page to store 30K Heresy game photos. 14th May – Added a new page 40K Various Models. 19th April – Added a Skaven team to my Blood Bowl page. 22nd February – Added more units to my Heresy Iron Warriors. January 2015 – Painted a Norse Blood Bowl team for a friend. 20th September – Added a Chaos Dwarf Blood Bowl team. 23rd August – 40K (Heresy era) Iron Warriors started. 14th July – 40K (Heresy era) Iron Hands page added. 1st July – There is Only War 2014 tournament report. 1st June – The War Without End Epic Armageddon campaign begins. 12th April 2014 – Added photos of a Halfling and Amazon Blood Bowl teams that I’ve painted for local raffle prizes. 28th December – Updated my Blood Bowl Orc team. 10th August – Added photos and details of There is Only War 2013 an Epic Armageddon tournament. June – Here’s the report of our 4 week Epic campaign War Without End 2013. 3rd March 2013 – Painted a Dwarf Blood Bowl team for a friend. 23rd December – Started painting a Chaos themed Guard army for Epic. 11th October – I’ve started a Nurgle Death Guard Epic Army. 9th July – Added a report of our Epic Tournament – There is Only War 2012. 21st May – Finished the Blood Bowl Stadium. 22nd April – A few more WIP photos of the Blood Bowl Stadium added. 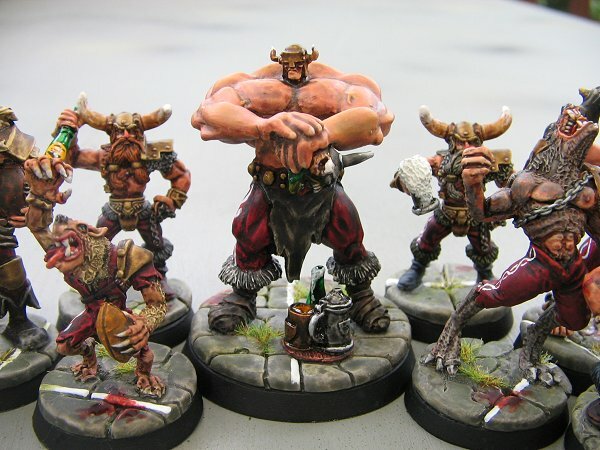 24th February – Added 4 more players to my Norse Blood Bowl team. 14th January 2012 – Uploaded some more photos of my Tyranid Horde. 6th November – Added a few photos of my Epic Armageddon Tyranids. 28th Ocober – Here’s a write-up of our recent Minigeddon 2011 tourney. 15th September – Added my Blood Bowl Team. The Nevasober Vikings. 11th July – Added a report of my The is Only War 2011 tournament. 30th March – Added photos of my updated Necron army. 20th February 2011 – Added a new page of Various Terrain pieces and Dioramas. This page also has a simple guide to making wargame terrain. 10th October – Added a write-up of my Epic tournament There is Only War . 30th July – Added an Imperial Fortress to my Epic Terrain page. 4th July – Photos of our campaign, War Without End, added to my Epic Armageddon page. 25th June – Some more reinforcements for my Iron Warriors. 29th May – More Epic Chaos forces added to my Chaos Marines page. 17th April – Updated my Epic Ork army page with my own Green skins. 31st March – Added a Fallen Reams army and some Nazgul to my Lord of the Rings page. 6th January 2010 – Added a SoulGrinder to my Epic Chaos Marines page and a crashed Thunderhawk objective to my Epic Space Marines page. 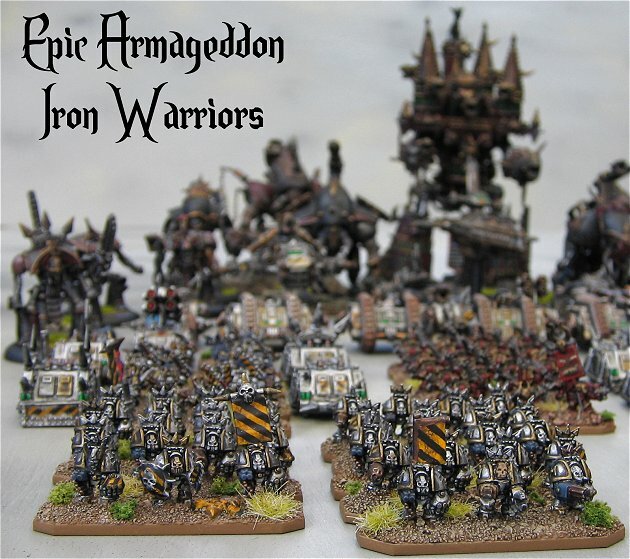 8th December – Added a Dark Realm Miniatures page to my Epic Armageddon section. 20th November – Added my Tower of Evil to the Lord of the Rings area. 18th September – Added my Erebor board to the Lord of the Rings section. 23rd September – Updated my Loyal Titan Legion page. 11th September – Added another Reaver and my Chaos Knights to the Chaos Titans page. 10th August – Added another Defiler to my Chaos Marines page. 24th July – Isengard added to Lord of the Rings Armies page. 1st June – Added Elves to my Lord of the Rings Armies page. 26th May – Added a new page – My Lord of the Rings Armies. 25th May – Small updates to the Chaos Marines and Chaos Titans pages. 15th May – Updates to the Chaos Marines and Chaos Titans pages. 10th May – Adeptus Mechanicus added to the Imperial Guard. 28th April – Updated the Necron page. 15th April – Updated my Tau army details. 29th March – Added a battle report for Epic Armageddon HERE. 27th March – Guardian Angels diorama added. 26th March – A few little updates to the Loyal Titan Legion page. 17th March –Epic Ork page updated. 16th March – Krieg army added to the Imperial Guard page. 14th March – I’ve been trying to upload something new everyday (I have quite a few hobby projects – some completed, some still on the go and I’ll be updating as often as I can). The most recent additions include my Epic Forge Knights (on the Loyal Titan Legions page) , the Epic Terrain page has been updated and I’ve added the write-up on the Amon Hen board I made for a local LotR SBG player.